After leading the Denver Broncos to a win in Super Bowl 50, quarterback Peyton Manning was asked if it would be his last game. He said he needed time to think about it and discuss it with his family. Today, after a month of considering his options, 40-year-old Manning made it official at a press conference in Denver: He’s hanging up his cleats. 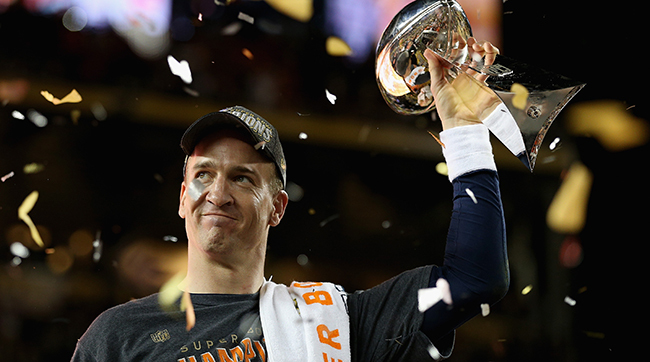 "When I look back on my NFL career I'll know without a doubt that I gave everything I had to help my team walk away with a win," Manning said. "There were other players more talented, but there was no one who could outprepare me. And because of that I have no regrets." 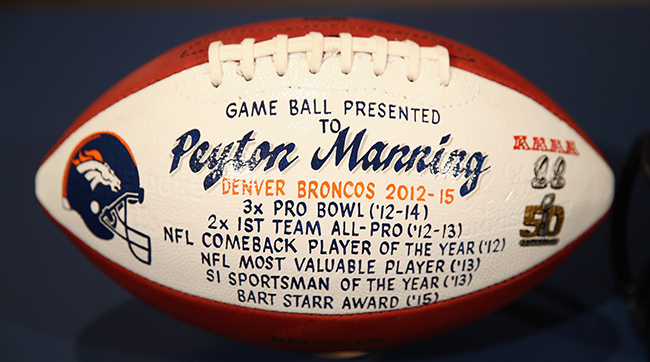 Manning played 18 seasons in the NFL, 15 for the Indianapolis Colts and three with the Broncos. He won two Super Bowl titles and four AFC championships. His Super Bowl 50 victory made him the oldest quarterback to win a championship, as well as the only QB to win a title with two different teams. Another record Manning holds is one he’d like to clear from his resume: In his rookie year, he threw 28 picks to set the record for most interceptions thrown in a season. 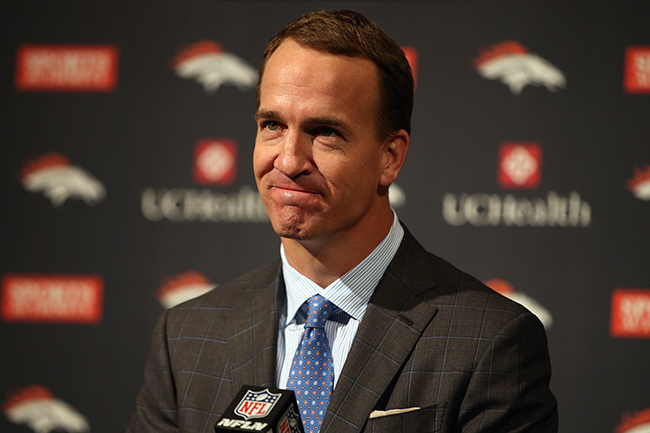 “Every year I pull for a rookie to break that record,” Manning said at the press conference. The news of Manning’s retirement began to spread on Sunday. And once word got out, tributes began pouring in. 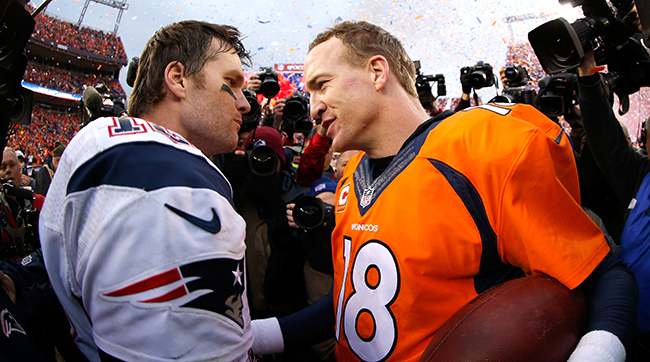 But the highest praise might have come from Manning’s longtime rival Tom Brady. Brady added that it was Manning who set the example for how he wanted to play quarterback.